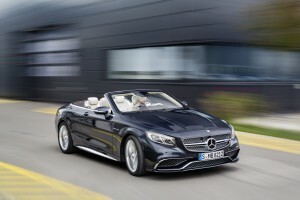 Soft-top lovers will have a new supercar to enjoy with the arrival of the Mercedes S 65 Cabriolet next year. The performance car has a hand-built 6.0 litre V12 biturbo engine underneath the bonnet which produces 630HP and has a limited top speed of 155 mph. The car will also sprint from 0 to 62 mph in just 4.1 seconds from AMG’s seven speed auto transmission which has various settings to quicken the shift times. There’s also plenty of room for four adults in the Cabriolet and the Airmatic sports suspension will also deliver a very comfortable ride. Again, the settings can be adjusted for the suspension depending on the road conditions and whether the driver would like to enjoy what the S 65 Cabriolet can do in ‘Sport’ mode, for instance. This will be the new flagship model for the Mercedes-AMG S-Class family with a cabriolet offering drivers lots of comfort including the firm’s neck heating system called ‘Airscarf’ as well as having intelligent climate control and heated arm rests. The interior is full leather and the soft top is made of fabric and available in four colours. The roof of the new Mercedes S 65 Cabriolet can be removed in 17 seconds at speeds of up to 30 mph so the occupants can enjoy the sunshine without stopping – and react quickly whenever it rains. Drivers will also get to enjoy lots of standard equipment including a head-up display. There’s also a raft of safety and driver assistance systems including a pedestrian detection system, steering assist, collision prevention assist and active lane keeping assist. The Mercedes S Cabriolet also comes with autonomous braking and a system to recognise when a rear-end collision is imminent which will then activate the hazard warning lights. Mercedes has also fitted 360° camera as well as active parking assist. 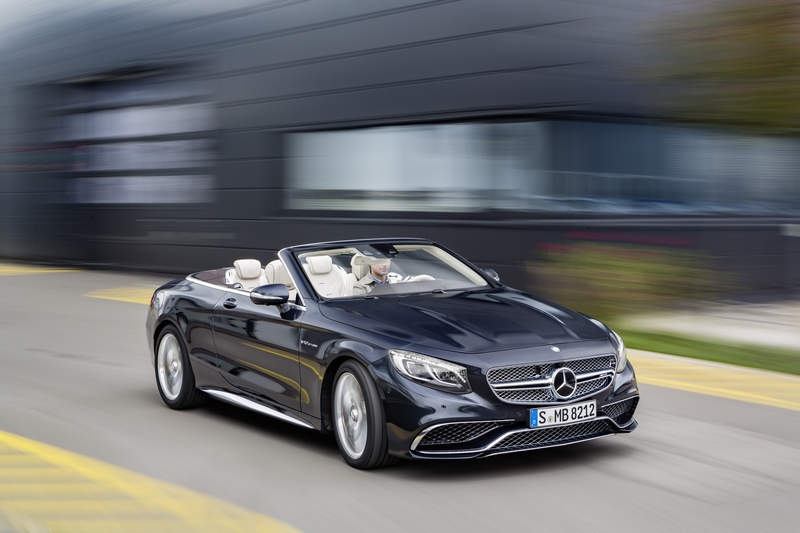 The impressive new Mercedes S 65 Cabriolet will not be available to order until April next year and will begin appearing on our roads in the summer. The car is also set to be the most expensive in the Mercedes S-Class line-up with some predicting the cost of this Cabriolet will be around £200,000. This entry was posted in Car Leasing, Cars, New Cars, Sports Car by Steve Lumley. Bookmark the permalink.